Abigail was an evil witch, the high priestess of an evil coven. On the 7th day of July, 1777 the people of her small community convicted her of witchcraft, and had her put to death. Abigail was nailed to her coffin with 7 silver spikes. One through each arm, hand, and knee. The last of the 7 was drawn through her mouth so that she could never rise and cause evil again! The coven's mark was then placed on a rune, and also onto a small piece of wood. These were mixed with other runes and pieces of wood with counterfeit symbols. 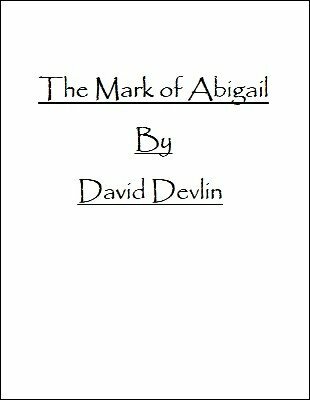 The superstition was that Abigail could only rise again if one who knew nothing of Abigail and her coven matched the two symbols together. The mage produces 5 pieces of wood the size of playing cards. Each one has a strange symbol printed on it. The spectator mixes the pieces of wood and lays them in a face down row. Neither the spectator nor the performer knows which piece of wood is which. The mage now displays a small skull made of bone. The story goes that after Abigail was tried, convicted, and burned, the surviving members of her coven fashioned skulls from her own bones in order to keep her power alive. One by one the members of her coven were killed off by the townspeople. Over the years, the bone skulls were lost, and the one in the mage's hand is one of the only ones left in existence. The spectator is now to hold the skull in her hand, and slowly pass it over the row of wooden "cards". Soon, it will feel as if the skull is being drawn to one of the cards. It is explained that it is because Abigail's spirit is still alive, and is guiding the spectator to her coven's true mark. The spectator is told that when she feels drawn to one of the cards, she is to place the skull on it. Once this has been done, the remaining cards are placed off to the side, sight unseen. The mage now displays a small wooden box. The box is opened, and inside are 5 runes. The runes are printed with the same symbols as the wooden cards, one symbol per rune. The runes are placed in a face down row on the table. The mage and the spectator use their minds to eliminate all but one rune (no Equivoque!). When all is said and done, the symbol on the rune matches the symbol on the card! Abigail has risen! This is Bizarre Magick at its best! 1st edition 2011, 4 pages. For me, a little disappointing. I really bought the ebook cause I thought I will see some pics and drawings of the cards, etc. The secret was what I though, so.. for me not a good thing to buy.